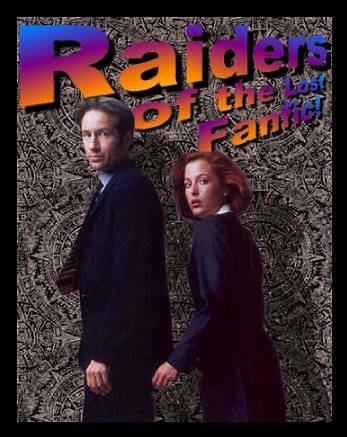 Raiders of the Lost Fanfic! Have you read all the fanfic that's been posted in the past 18 months or so? Looking for something, if not necessarily new and different, then, at least, old and different? Well, I've been around here forever, frankly, or as forever as it gets in the cyber-verse, and I've seen a lot of great fic come and go. I hope to feature a different gem or two from those hazy, crazy pre-2001 days here each month. Some will be straight case files, some will be MSR's, some will be hard to describe. All will be worth the read, one way or another. I promise. If you read something you like, please be sure to let the author know. All disclaimers attached to said stories, of course, apply. So if it says NC-17, and you shouldn't be reading it, don't look at me. Mulder at Oxford. A beautiful don. A serial killer. Scully and Doggett, but in a grown up, reasonable, realistic way. A different take on the post-col world. Martha's Vineyard, and old ghosts. What kept M&S apart for so long? I don't know what to say -- just read it. You'll be glad. "Ignorance ain't bliss; it's just ignorance." A man, a woman, a pickle. Casefile, MSR, serial killer, really nice footwear. The XFiles is the property of Ten Thirteen Productions and Fox Broadcasting.